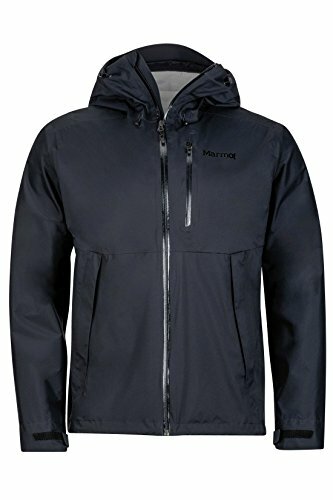 The Magus Men's Rain Jacket features Marmot's Stretch NanoPro technology—a porous coating that provides enhanced waterproofing and breathability while retaining full range of motion during high activity. The Magus also features fully taped seams to prevent leaks, water-resistant zippers, and an attached hood with peripheral drawcord adjustment for complete coverage. If interior heat should begin to build up, simply open the PitZips—zippered ventilation openings under the arms—to increase air flow. Your arms will retain full mobility through it all, thanks to the built-in Angel-Wing Movement.